" First of all, Terri, Molly and Amy. I am so sorry for your..."
"Karen and I are sending thoughts to you and the girls." "I worked with Phil at Prairie High School for many years...."
"Theresa, Steve and I are so sorry for your loss. You had..."
Philip Joseph Phimister, of Vancouver, Washington, went to be with our Lord on August 17, 2017 at the age of 64. A service for Phil will be held on Saturday, September 9th at 10a.m. at Our Lady of Lourdes Parish in Vancouver, Washington. Philip was born on August 10, 1953 in Portland, OR to Charles William and Jean Audrey Phimister. He grew up in Camas, WA and attended Camas High School where he was an outstanding athlete. 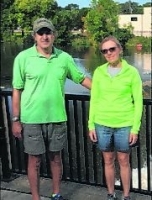 In 1973, he met Teresa Hamrick whom he married later that year. Philip joined the Air Force in 1973 and served for four years. Afterward, he graduated from Clark College and Central Washington University where he continued his running career and earned his teaching degree. 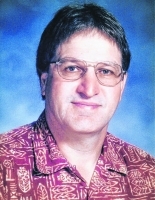 He spent his 32 year career teaching and coaching, mostly at Prairie High School. He had a gift and a passion for working with young people, and in his life he touched the lives of many of his students and athletes. Philip is survived by his wife of 43 years, Teresa; daughters, Amy (Ian) Campbell and Molly (Buck) Taylor; precious granddaughter, Plum Andrea Rose Taylor; and siblings, Jennifer Hoskins, John Phimister, Mark Phimister, Peggy Hoskins, and Tom Phimister. He was preceded in death by his parents, Charles and Jean. In lieu of flowers, the family asks that donations be made in Phil's name to a . Please consider a charity that supports student athletes or people struggling with mental illness. Please sign Philip's Guest Book at www.columbian.com/obits.